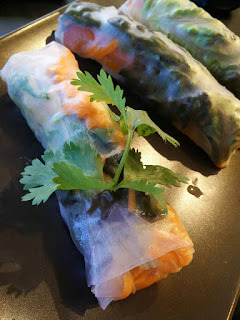 Making spring rolls is NOT a big ordeal--even though they look elegant and complicated. Simply choose veggies that you like (we used cucumber, mango, lettuce, shredded carrots, yellow/red/orange bell peppers, and cilantro) and make sure the pieces are no longer than about 3 inches long. You will also need 22 cm diameter rice paper (found in the Asian section of the grocery store). Simply place a rice paper in room temperature water (in a shallow dish a bit larger than the rice paper) for about 30 seconds to one minute. You should still see the pattern on the rice paper FAINTLY. Then, gently shake off the water and place it on a dinner plate. fill the center with veggies/fruit, leaving and inch or more on each side. Roll it up like a burrito, folding in the sides as you go. Place on a plate while making other rolls, but do not let rolls touch each other or they will stick together. 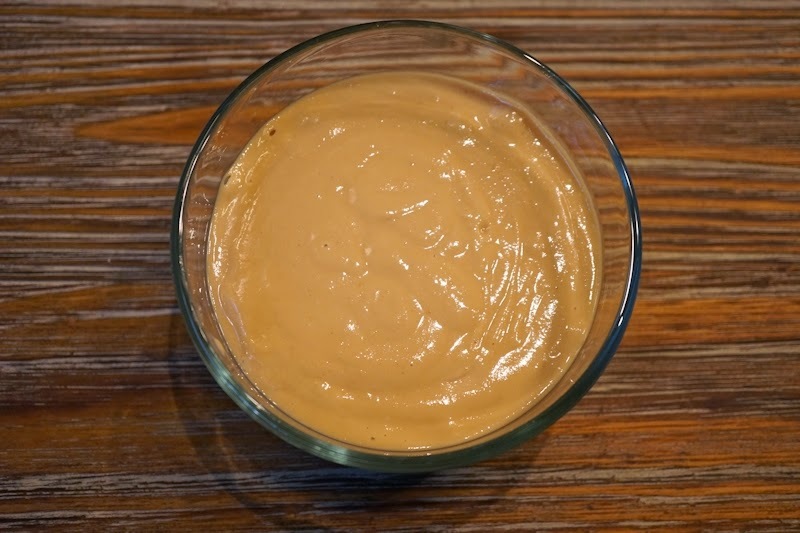 Our favorite dipping sauce is from My Beef with Meat, called Toby's Peanut Dipping Sauce. I like to put my sauce IN the roll before rolling it up so I don't have to do the messy dipping.